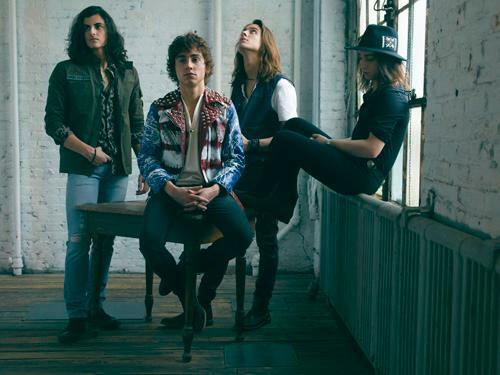 Armed with a combined 75-million Spotify plays, 17.8-million YouTube views of the band’s debut number one single Highway Tune and all previously announced 2018 North American dates long-sold out, today the four-piece rock band Greta Van Fleet announces a slew of new headline and festival dates that will bring the band’s high-energy, rock’n’roll swagger to global concert venues throughout September, October and November. Tickets for these dates go on sale this Friday, June 15th at 10AM local time, go to gretavanfleet.com/tour for all ticketing information. For more information, please visit Greta Van Fleet’s Official Website. I have not seen this sold out stuff in a while! Their sound may be like zeppelin but there is not a song that sounds like another Zep song. They write there own unique songs. The may have a sorta Zep sound but they have their own songs that are great! I cant wait to buy their new cd later this year! Now we need a few more new great bands to come out and shut down you tube! And the music bis will be back on track! Agreed. With the crap coming out these days, sounding too much like Zepplin is a good thing.